Xenotransplantation: using pigs as organ and tissue donors for humans ~ Health Matters Today! Transplantation is the best available treatment for many serious health problems including diabetes, kidney failure and heart disease. These conditions affect millions of people worldwide and the cost of treatment, loss of productivity and reduced quality of life are enormously expensive to society. Although transplantation offers a lifeline to these patients, there is far greater demand for organs and tissues than can ever be met using human donors. Even with the government-driven push to increase the donation rate in Australia, many patients will become too sick to receive a transplant or will die while on the waiting list. Some scientists believe that stem cells will ultimately provide a solution to this pressing medical problem, but growing a highly complex organ from stem cells remains in the realms of science fiction, at least for now. A treatment that is much closer to reality, and indeed has already entered early clinical trials, is the transplantation of animal organs, tissues or cells into humans. This is called xenotransplantation. Humans are primates, so the obvious choice of donor animal for xenotransplantation would appear to be another member of the primate family (chimpanzees and baboons, for instance) because of their physiological similarity. But non-human primates have been ruled out as donors for several compelling practical and ethical reasons. One of the risks to transplant recipients is infection by viruses transmitted by the transplanted organ. 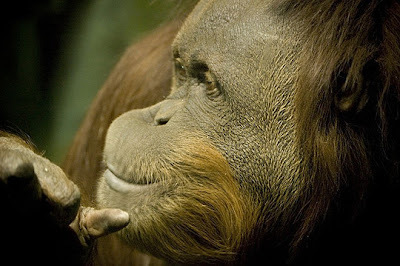 As our closest cousins in the animal kingdom, primates are more likely than other animals to carry viruses capable of infecting humans; HIV, the virus responsible for AIDS, originated in chimpanzees. This “relatedness” also poses ethical problems, with the public understandably reluctant to exploit animals that share many features with humans. And even if you discount the ethical question, it’s hard to imagine being able to breed enough primates to meet the increasing demand for donor organs. Pigs, on the other hand, tick many of the boxes. They can be raised in a clean environment, so the risk of infection from pig donors may actually be lower than that from human donors. They are already widely bred for the food industry, solving the supply issue and, provided they are treated humanely, present less of an ethical dilemma. Material from pigs has been routinely and safely used for medical purposes for decades, with heart valves the best known example. The evidence from animal models suggests that most pig organs will work properly in human recipients. On the downside, the evolutionary distance between pigs and humans means that the human immune system mounts a very strong response to pig organs. The drugs that are used to prevent rejection of human transplants are simply not powerful enough when it comes to pig transplants. One solution for this problem is to genetically modify pigs so that their organs will not be recognised as foreign when transplanted into humans. Several groups around the world, including in Australia, have produced GM pigs for xenotransplantation research. These pigs are still in the testing phase, but the progress that has been made over the last 10 years suggests that the move to the clinic is not too far away. 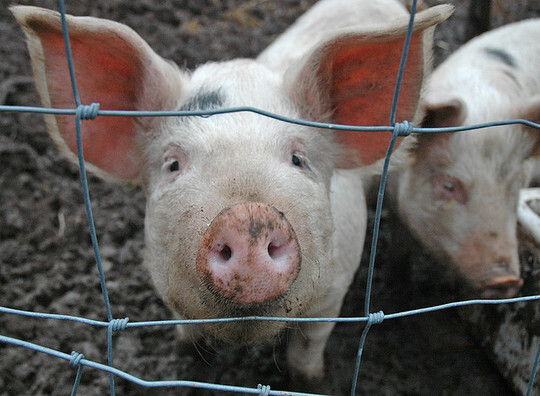 Pigs may also be the key to future treatment of diabetes. Insulin, the hormone that controls the level of sugar in the blood, is made by clusters of cells in the pancreas called islets. People with type 1 diabetes have abnormally high blood sugar because their islets are destroyed by the immune system. While regular insulin injections restore some control, the long term prospects are poor, with complications including renal failure and blindness. Transplantation with human islets is an option open to only a handful of patients. Pig islets are an attractive alternative, because pig insulin is 98% identical to human insulin and was used to treat patients before recombinant human insulin became available. In a clinical trial currently taking place in New Zealand, pig islets contained within microcapsules have been injected into the abdomen of 11 patients with diabetes. The microcapsules allow nutrients to get in and insulin to get out, but importantly they also protect the pig islets from the recipient’s immune system so that no anti-rejection drugs are needed. Early results suggest that the microcapsule treatment will not be a complete cure, but may benefit patients with severe diabetes. In the meantime, many other strategies are being explored. Results from animal models showing islets from GM pigs can reverse diabetes for many months are particularly encouraging. A recent review in the prestigious medical journal The Lancet is carefully optimistic that clinical xenotransplantation may soon become a reality, particularly for cellular grafts such as islets. Will this be, as suggested by the authors of the review, the “next medical revolution”? We’ll have to wait and see. What Are Emotion Expressions For? Why do some people never forget a face?